Think of it as a restaurant within a restaurant. 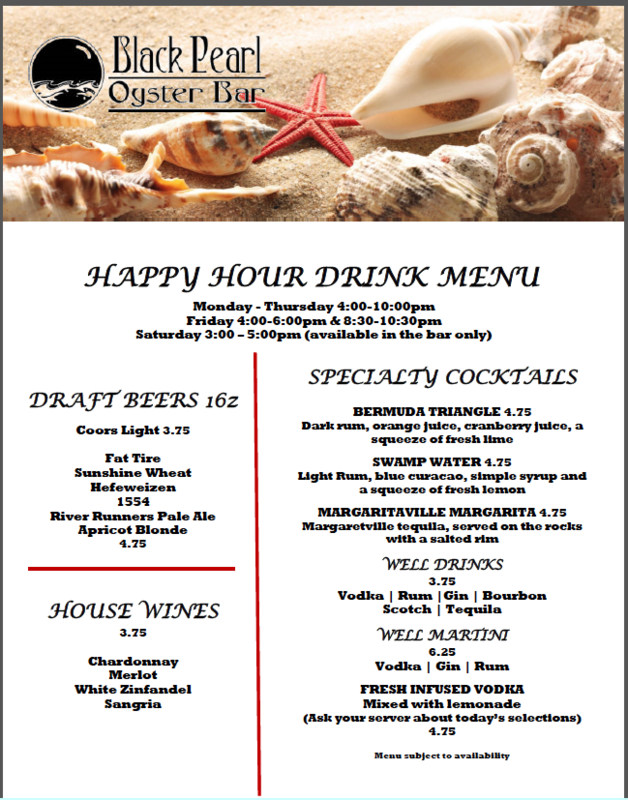 Our Black Pearl Oyster Bar is perfect for happy hour, a late night nosh or you can even dine in the bar! It’s a little livelier, a little louder and a little more fun. Plus, you get half price appetizers (20 different varieties! 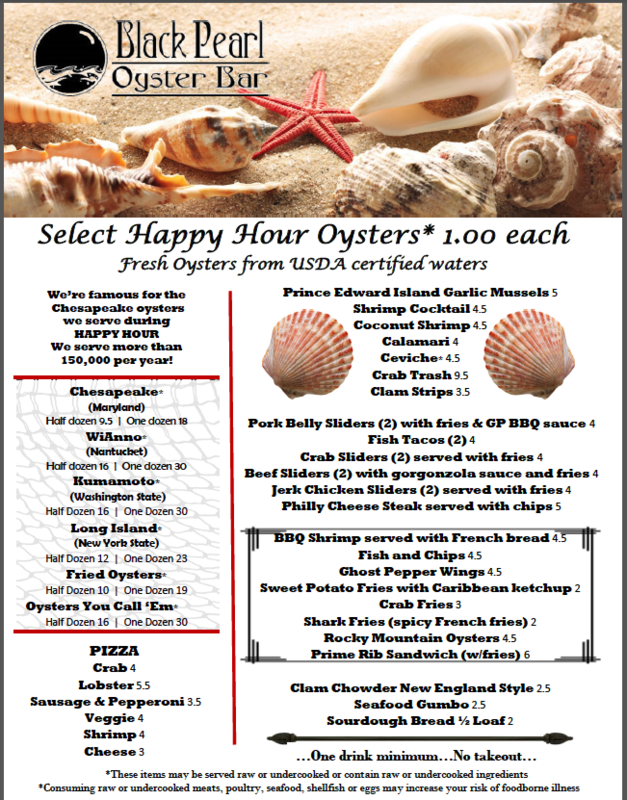 ), drink specials and $1 oysters during our daily happy hour. Monday - Thursday 4-10 p.m.
Friday 4-6 p.m., 8:30-10:30 p.m.
Appetizers are available at the bar M-F 2:30-5 p.m.